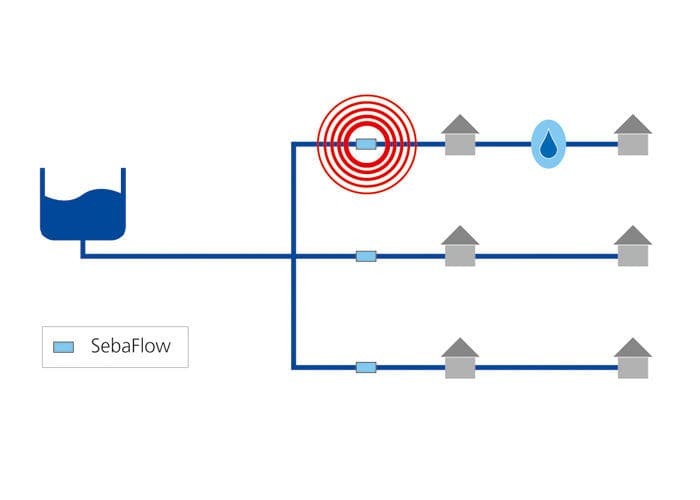 SebaFlow enables the continuous flow and zone monitoring of a pipe network section (DMA District Metering Area) through the use of ultrasonics. 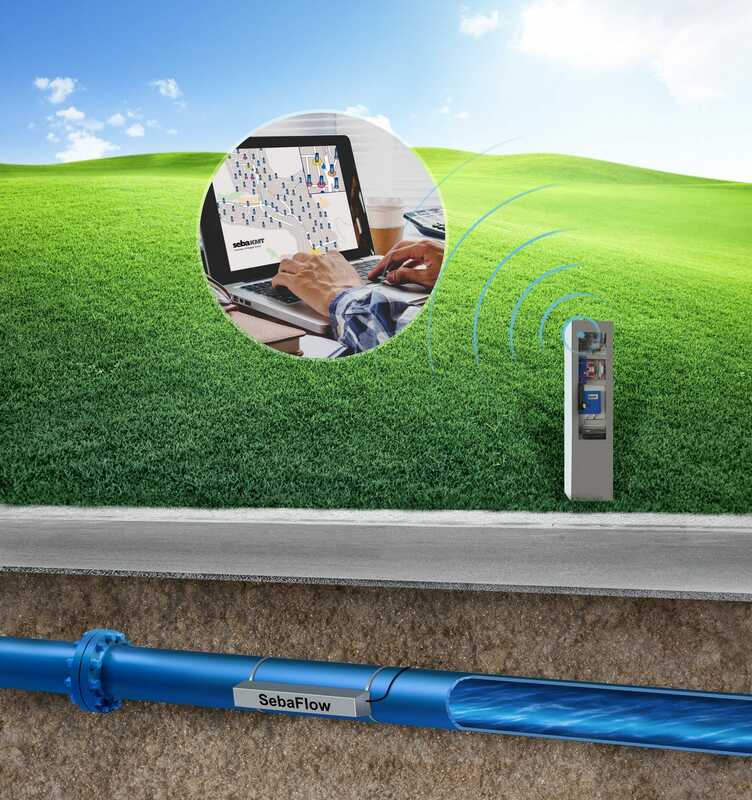 Installation is managed without interrupting the water supply by means of attaching sensors to the outside wall of the pipe. 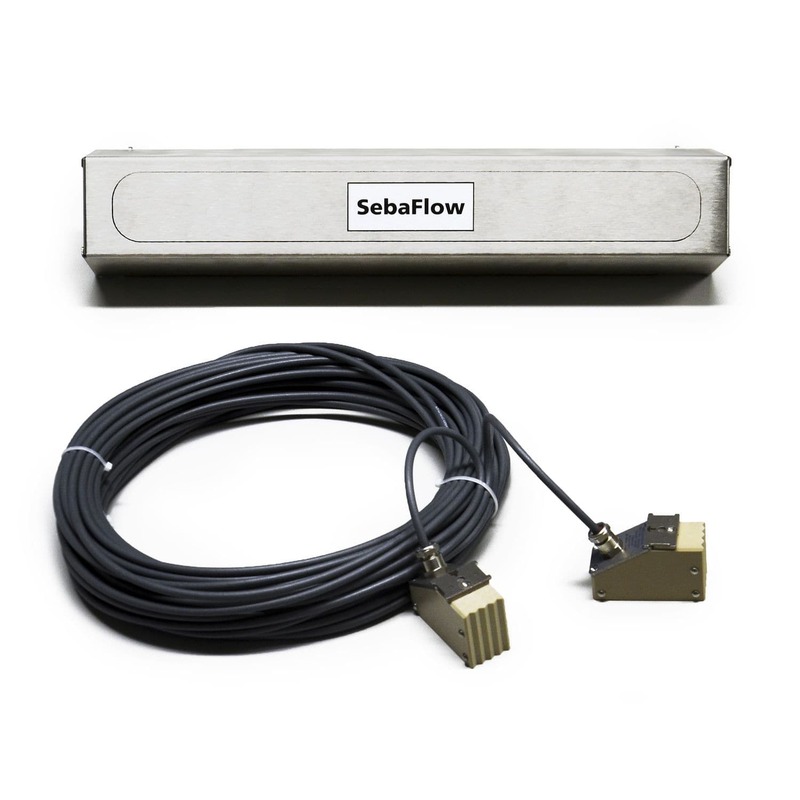 SebaFlow is robust and maintenance-free, allowing installation without chamber construction.